You can learn a lot about a husband by reading his e-mail-sometimes, too much Kate, a senior executive at a multinational hotel company, has devoted her life to her job and her family. Catering to the needs of others comes easily to her, but now, after ten years of marriage and two children, Kate discovers e-mails from her husband to another woman. Forced to take a long look at her marriage, she finds that there are all kinds of things she's been doing her best not to see. At the same time, the political machinations in her office begin to take on an increasingly Shakespearean level of drama and ferocity. With both her work and home lives crumbling around her, Kate has to keep up appearances for her daughters as she tries to figure out who her husband really is and what he means to her now. 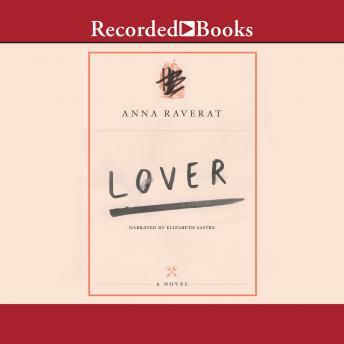 Lover, the British writer Anna Raverat's U.S. debut, is a detailed observation of love, work, and life told through a woman's crumbling marriage. In a first-person voice so compelling that the novel reads like a thriller, Raverat paints an acute portrait of the female psyche, exploring intimacy and the politics of work. Lover is both an intellectually rich and an emotionally gripping read about a woman finding her place in the world.